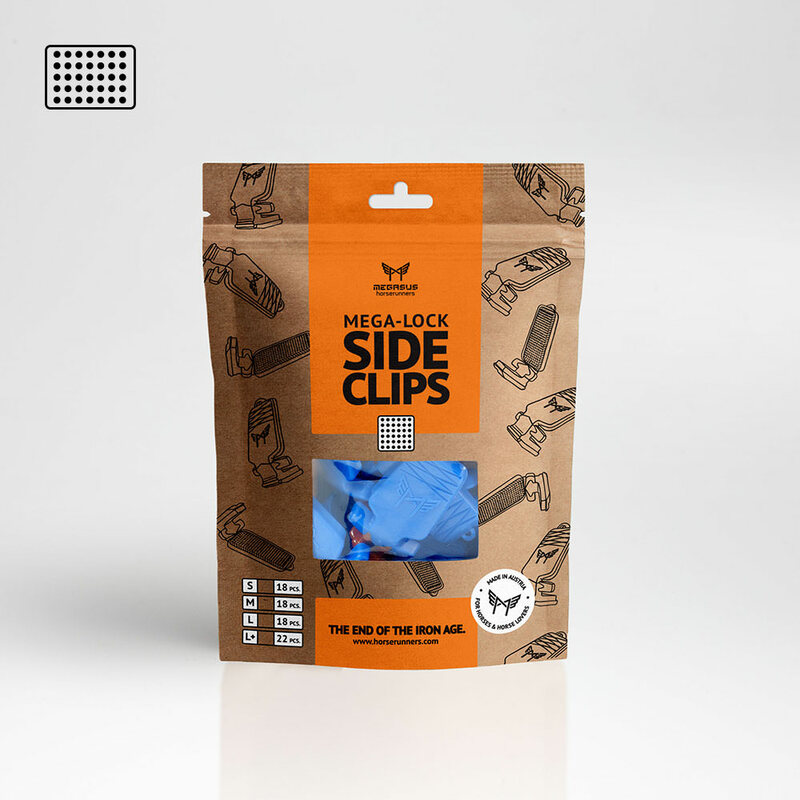 The Mega-LOCK Side-Clips are part of the the on- and off clip-able Mega-LOCK System. 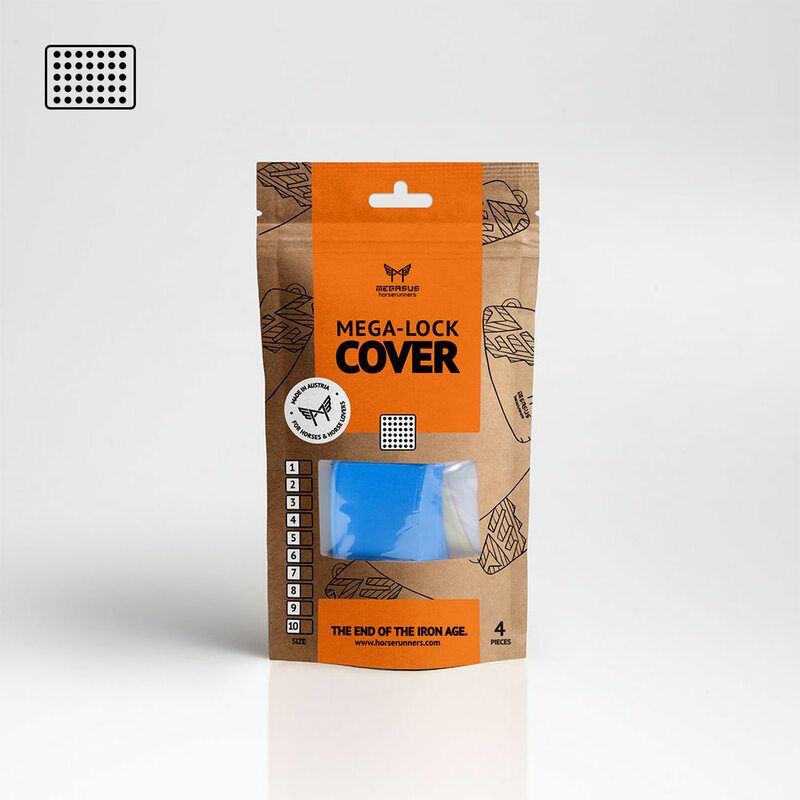 Usable in combination with the Mega-LOCK Tapes. 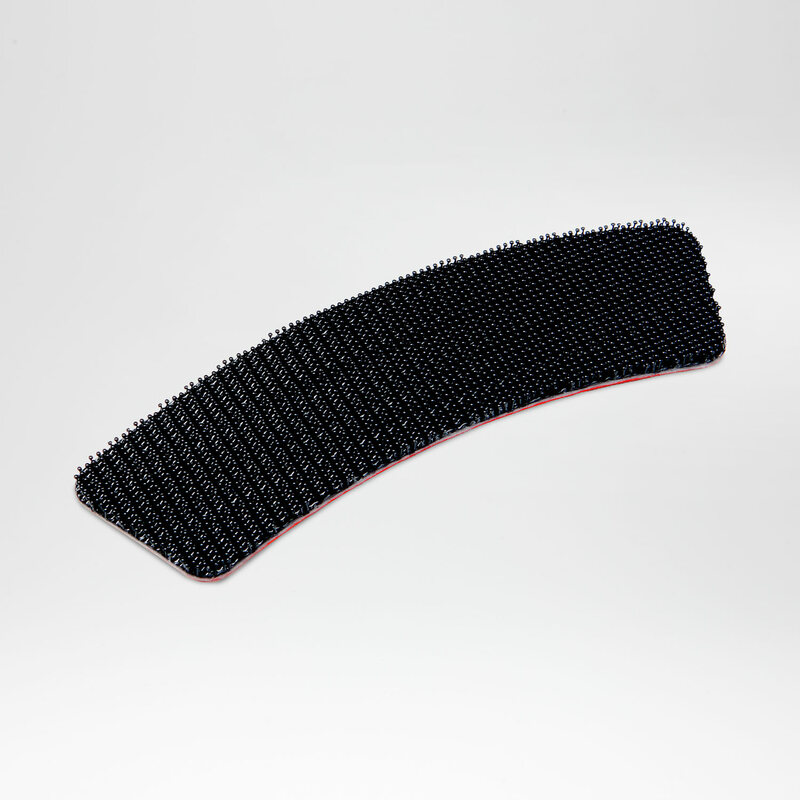 The Mega-LOCK tapes are fixed directly on the hoof. 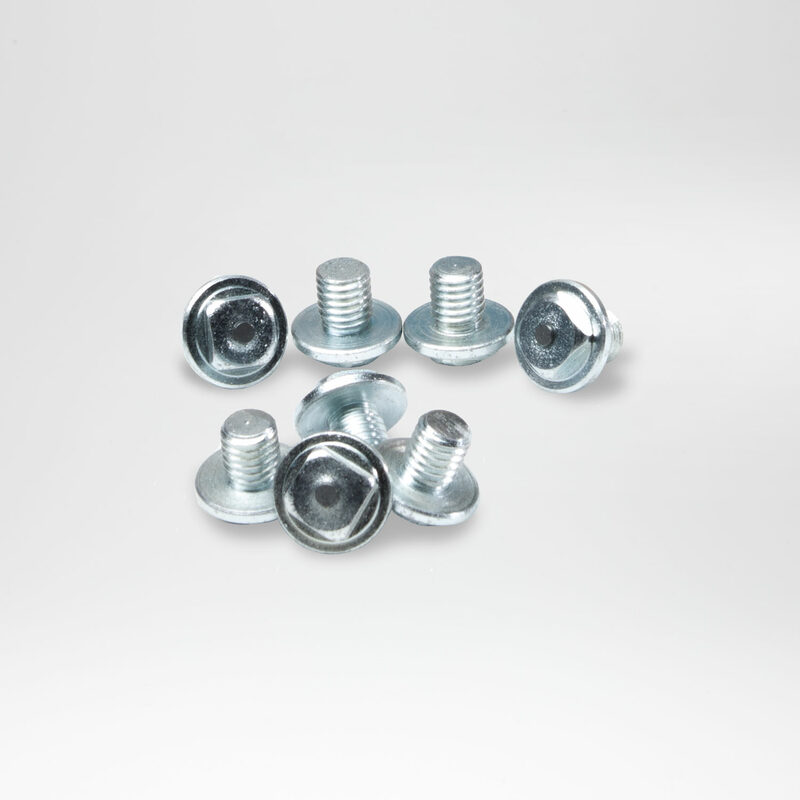 This way, you can put on and take off the Horserunners with the Mega-LOCK System at any time. 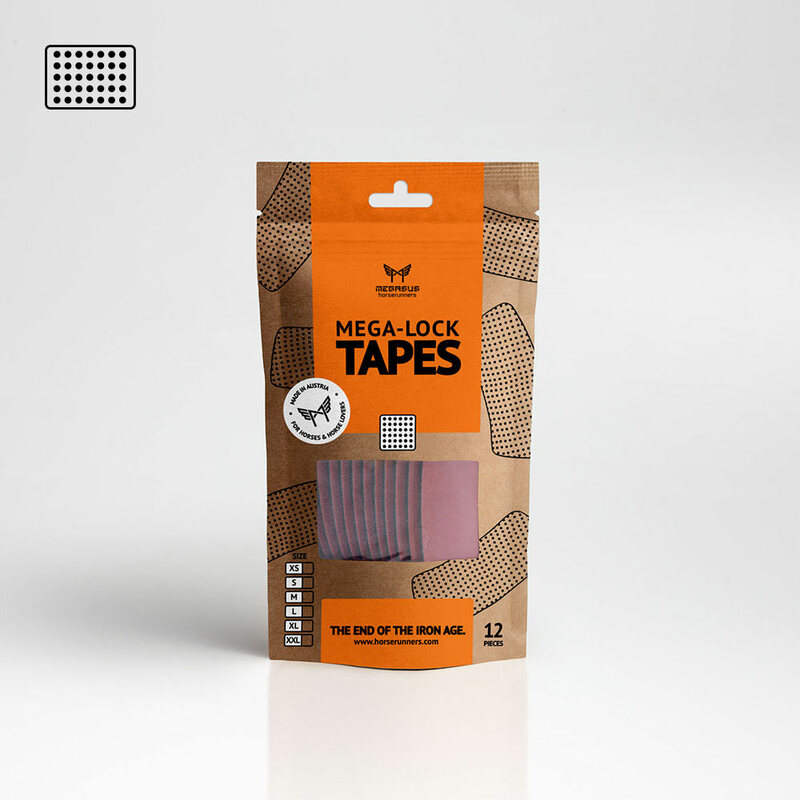 Protect the Mega-LOCK Tape from dirt and grime. This way, your horse can go barehoof at anytime and the Mega-LOCK Tapes will still remain clean and ready for use. 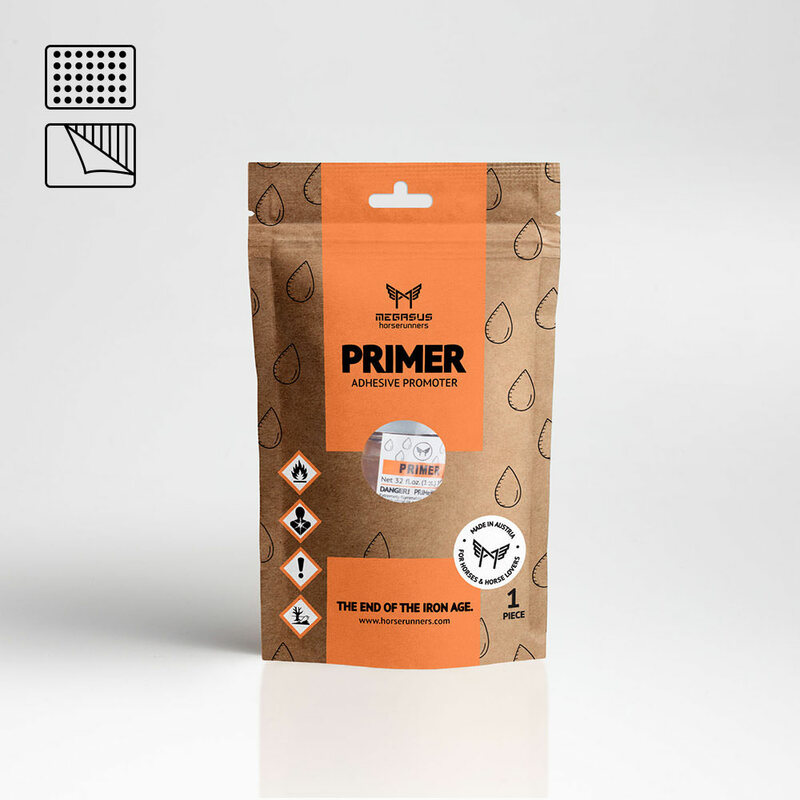 You will need the Primer for the Mega-LOCK and Mega-STICK systems. 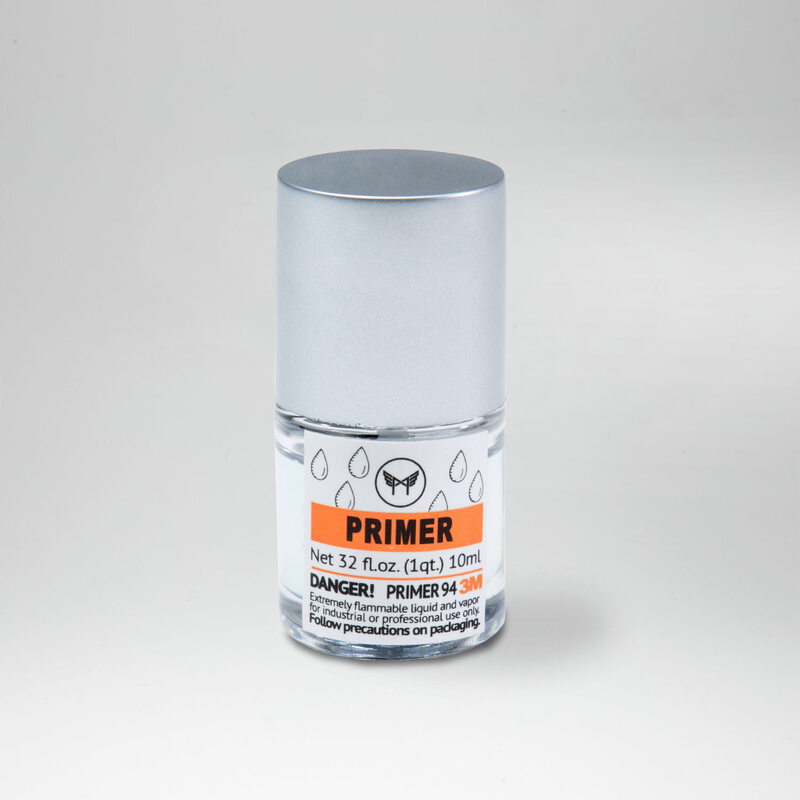 The practical 10 ml of primer comes with an integrated brush. 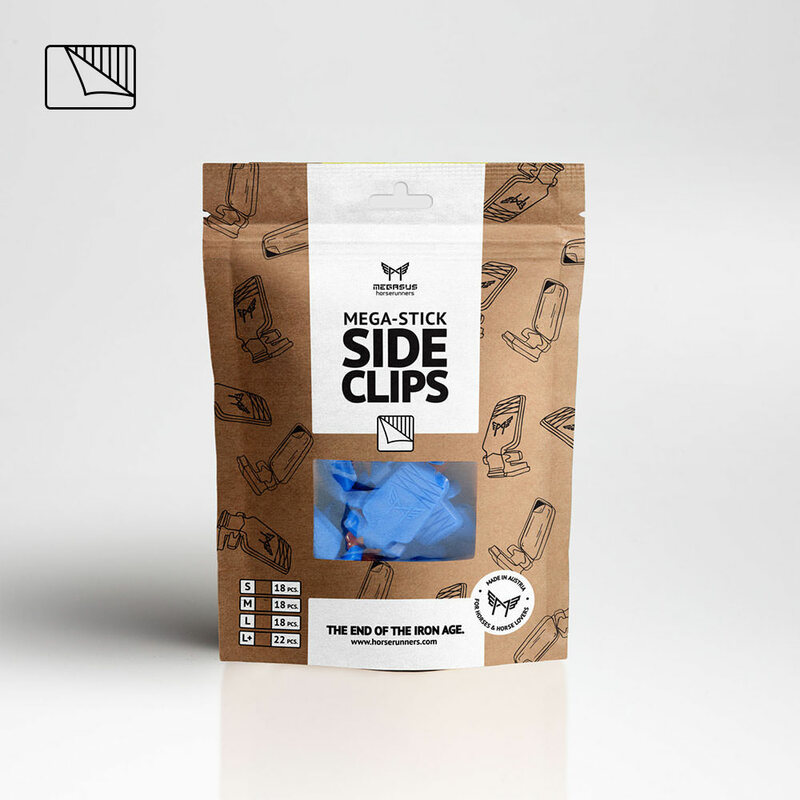 Die Mega-GLUE Side-Clips are part of Mega-GLUE system. 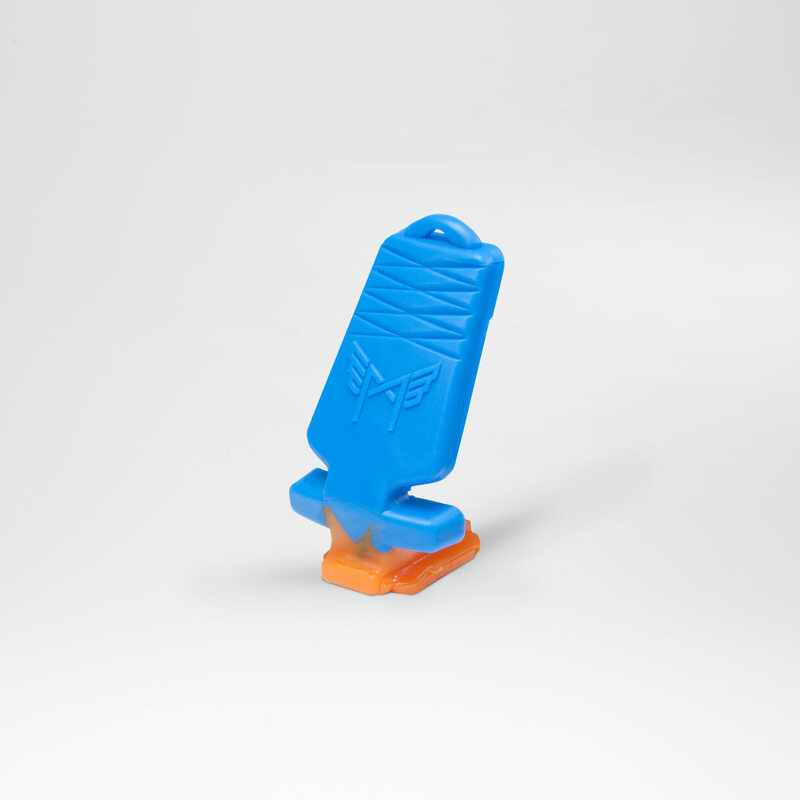 The Mega-GLUE Side-Clips are glued directly to the hoof wall. 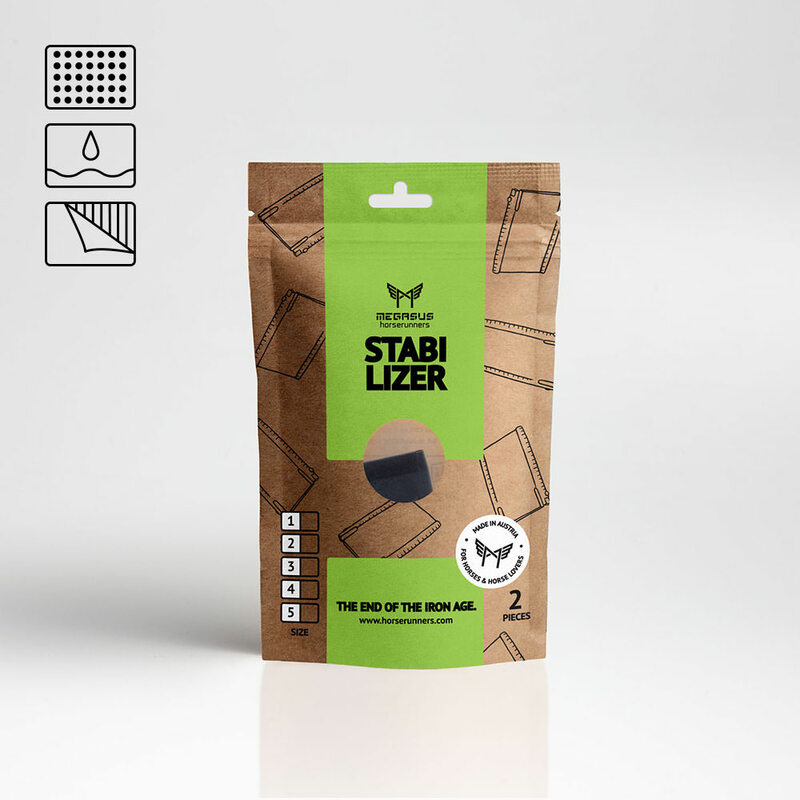 The Stabilizer allows you to adjust the stability of the Megasus Horserunners to your horse's hooves. 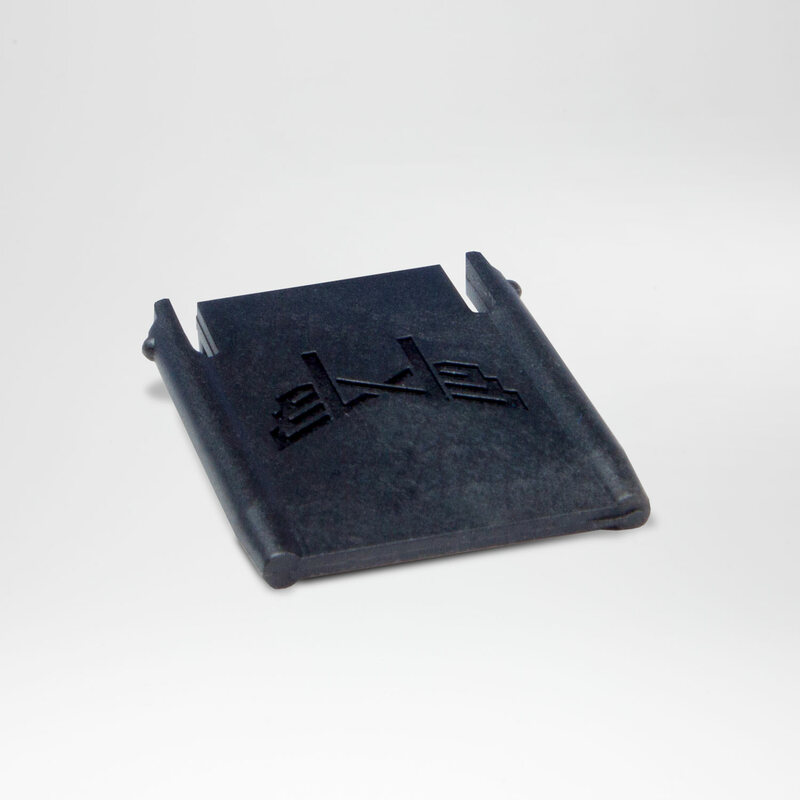 It offers individual stability for the heels. To quickly attach the Spikes to the Megasus with an electric drill. 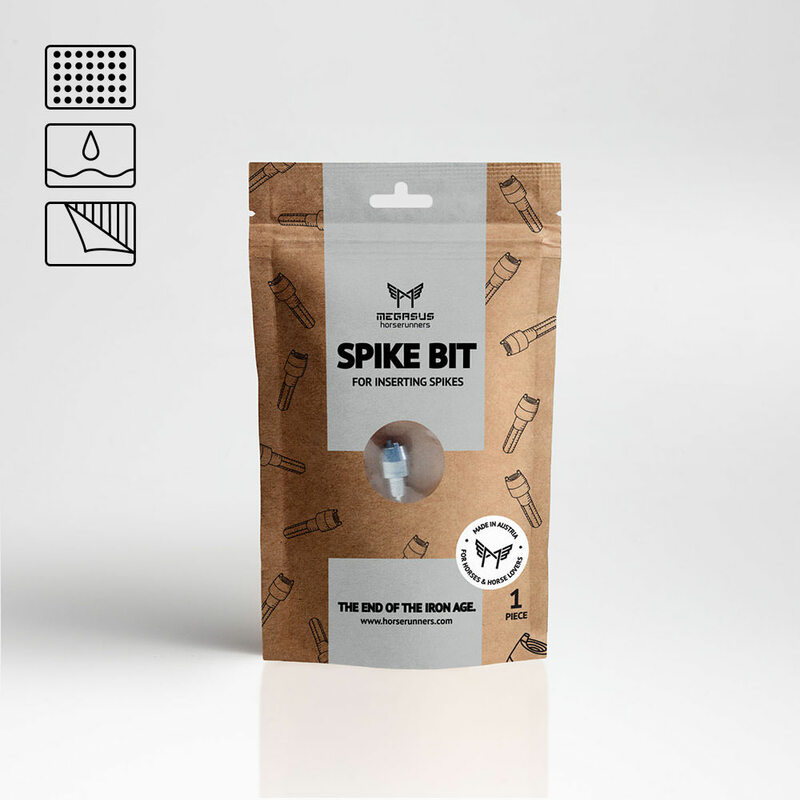 Every package contains one Spike-Bit. 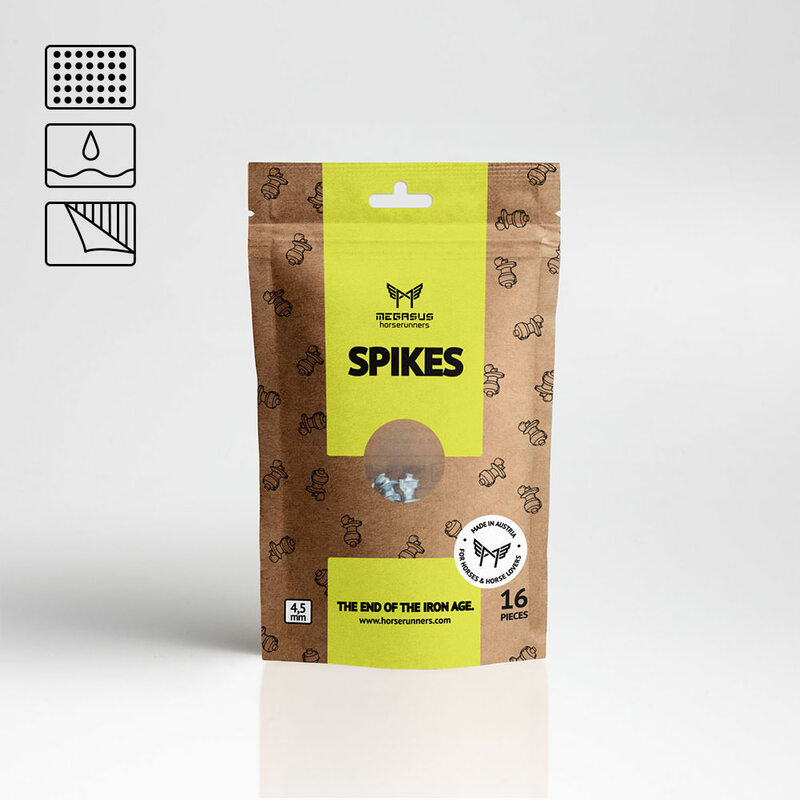 The Megasus Spikes are available separately. 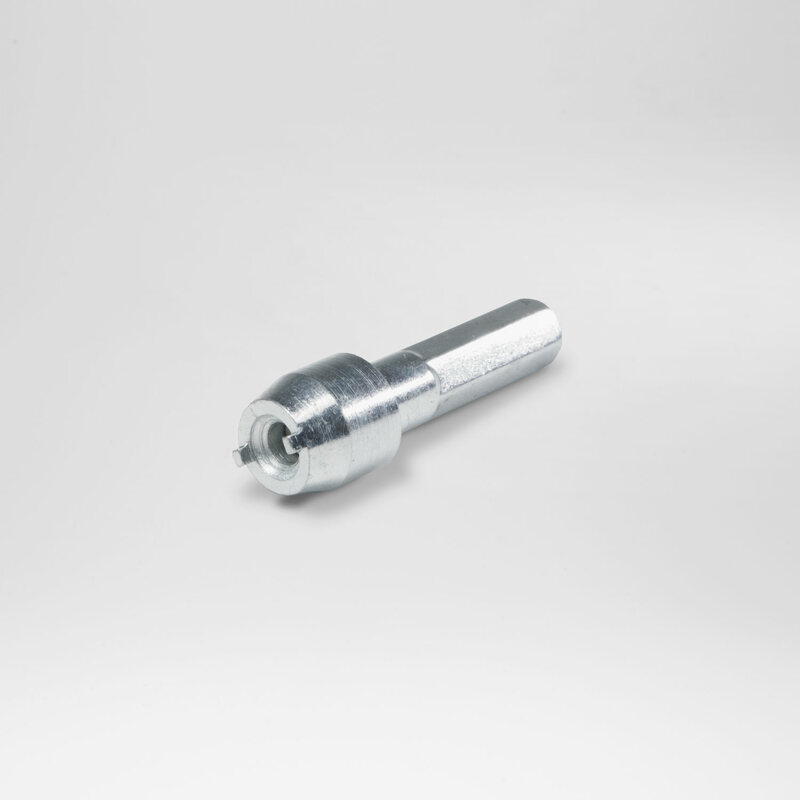 The Megasus Drill Bit for mounting the Studs. 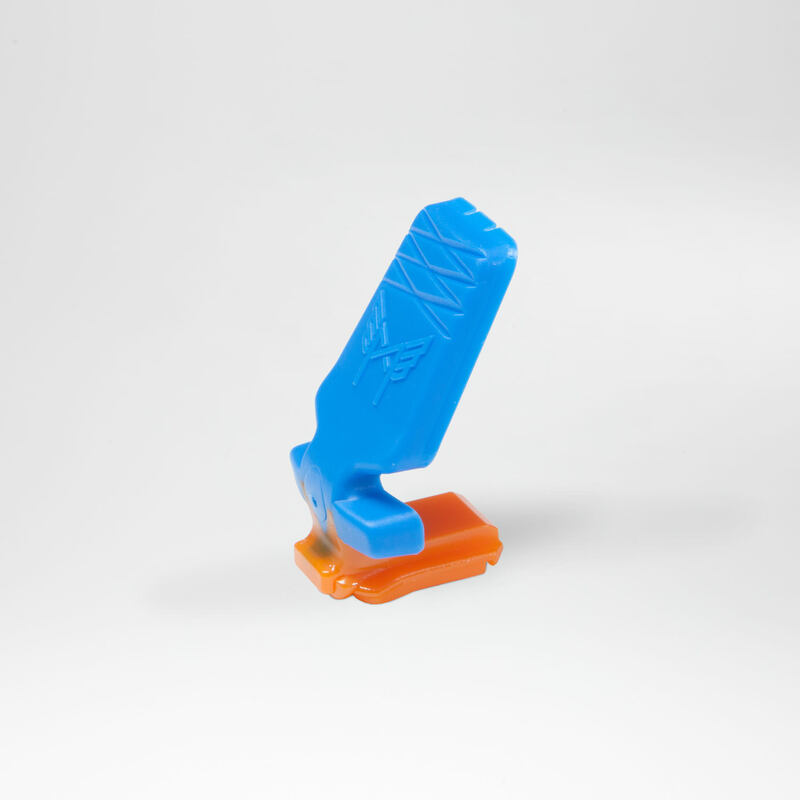 It's a high-quality two-step bit for pre-drilling the insert holes in the Megasus. 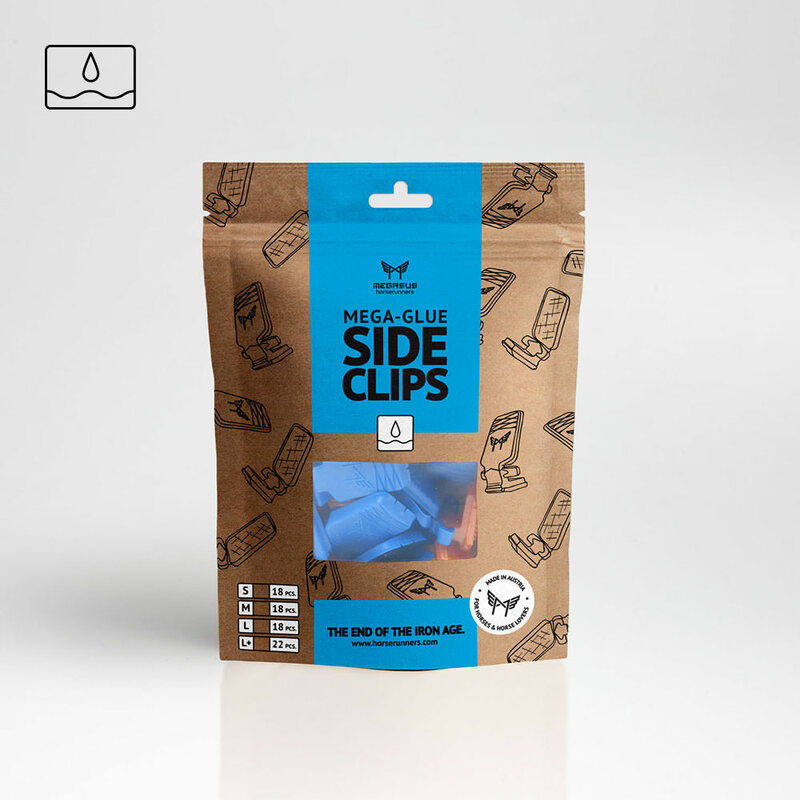 The Mega-STICK Side-Clips are part of the Mega-STICK System. 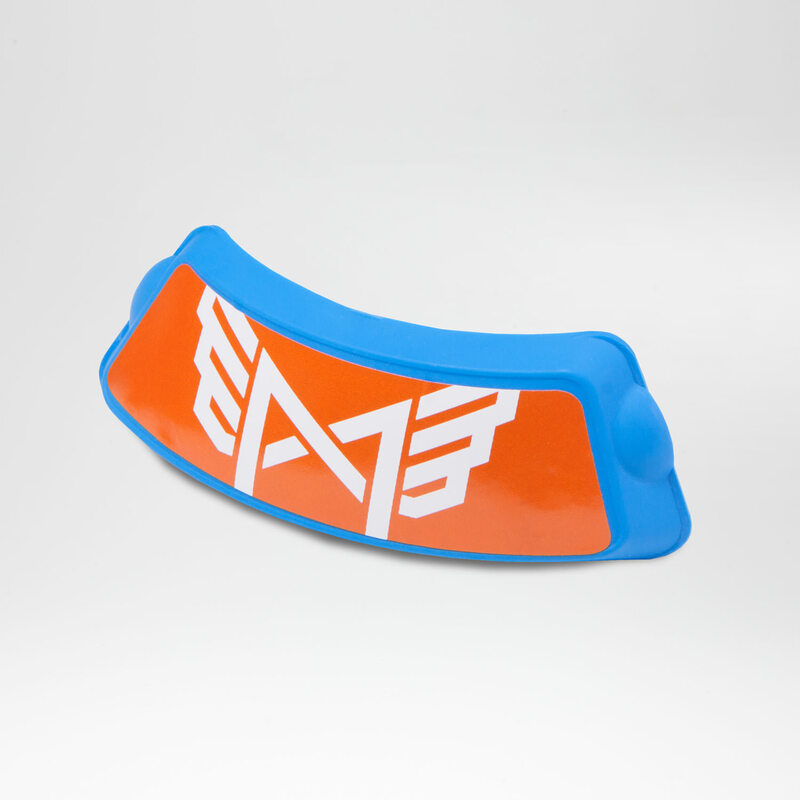 They are equipped with an ultra-strong doubled sided adhesive band and provide for a secure, permanent hold. 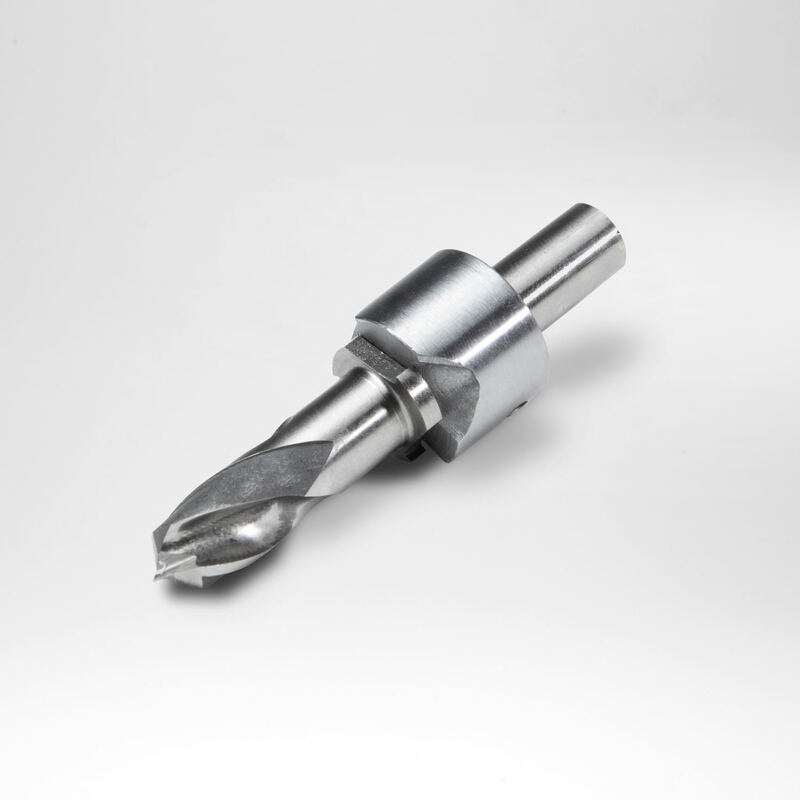 Made from galvanised steel with a tungsten carbide tip. 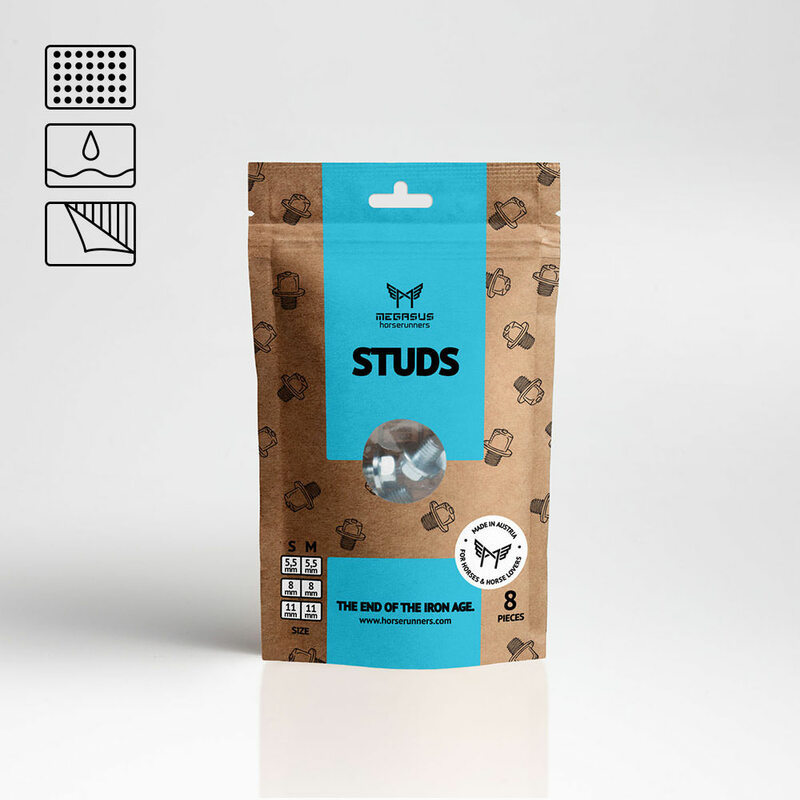 We recommend our Studs with the compatible thread inserts and our Megasus Drill Bit for sports or slick surfaces. 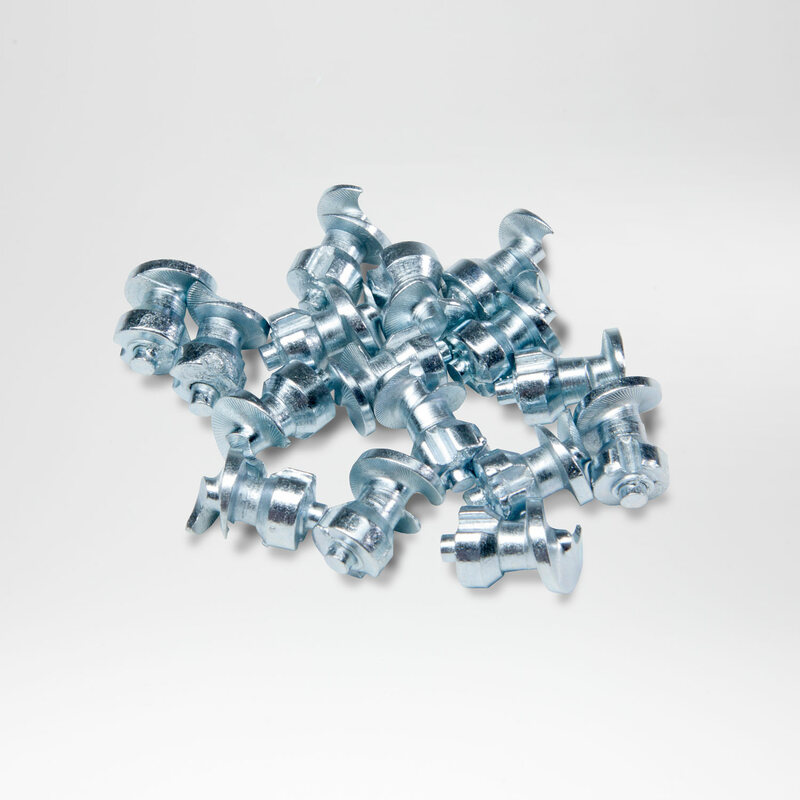 The Thread Inserts made from stainless steel are perfectly adapted for the Megasus Studs. To insert them, you will need our Megasus two-step Drill Bit. 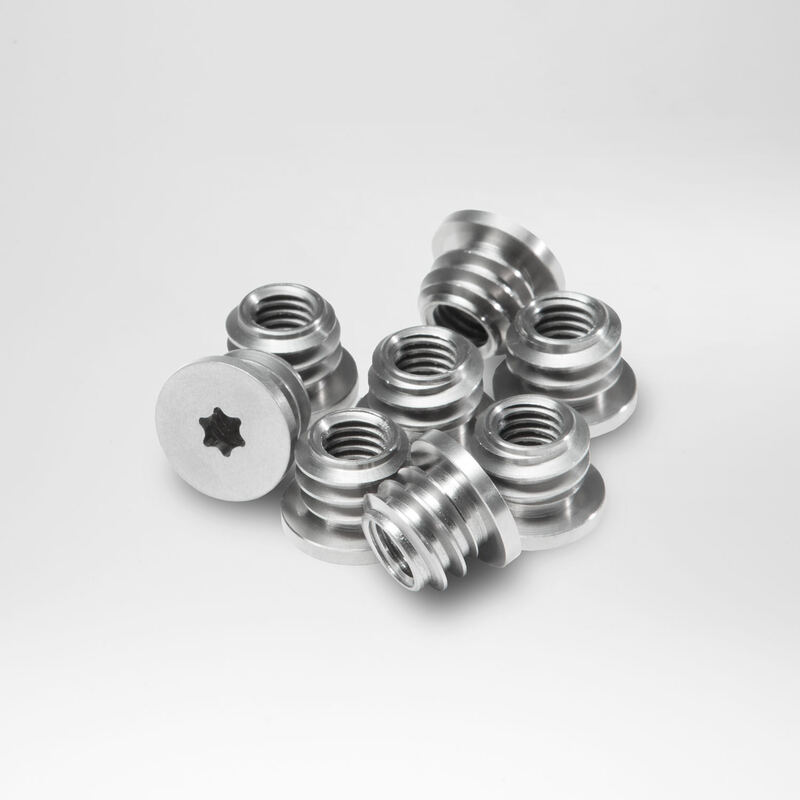 Made from galvanised steel with a tungsten carbide tip. 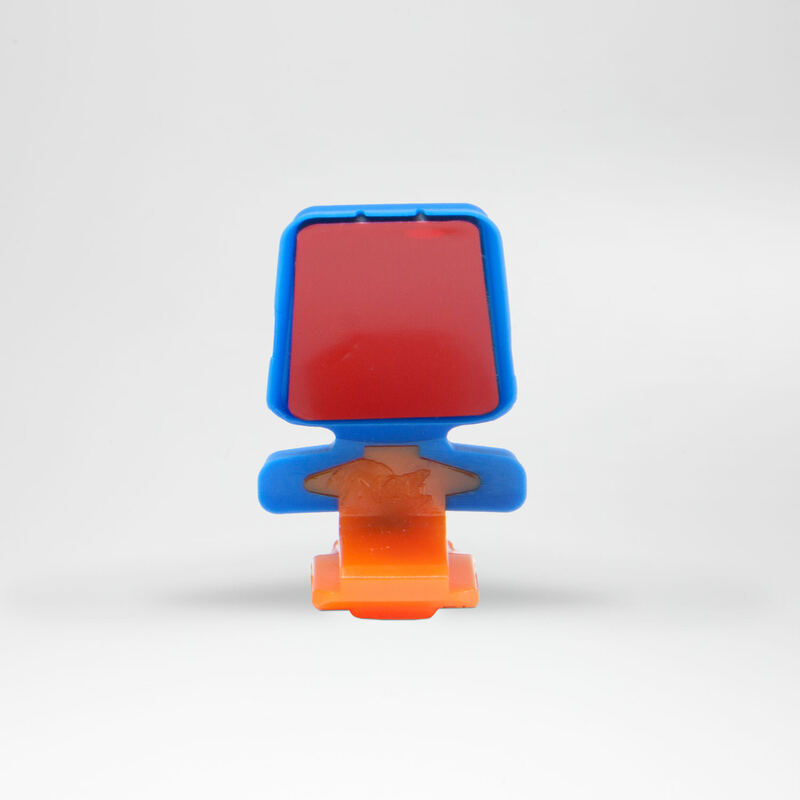 If you prefer a quicker solution, it's best to use the Megasus Spikes. Just screw them in and go!